PENNSVILLE TOWNSHIP, New Jersey -- Police say a pot advocacy company's RV carrying marijuana-laced candy burst into flames on a bridge that connects New Jersey and Delaware, causing lane closures and tying up traffic for hours. 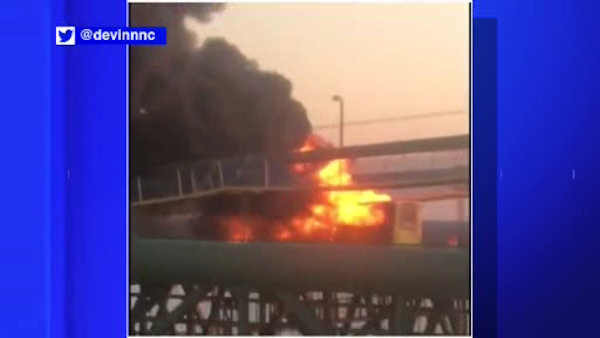 Weed World Candies tells WCAU-TV more than $50,000 in merchandise was destroyed Sunday evening when one of its vehicles heading to Philadelphia from Washington D.C. caught fire on the Delaware Memorial Bridge. Passing motorists captured the blaze on video . The company uses tour vehicles to sell marijuana-laced lollipops and promote the legalization and decriminalization of pot. Firefighters extinguished the blaze. No injuries were reported. The Delaware River and Bay Authority tells NJ.com all northbound lanes were closed for about a half-hour. Two lanes were still closed three hours later.